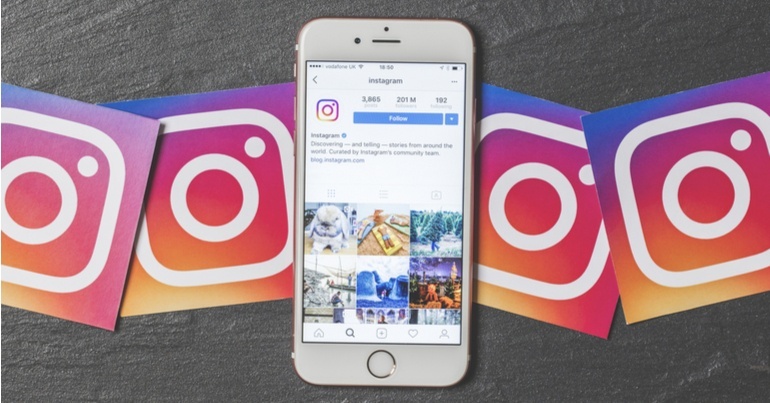 Instagram has become one of the most popular and influential social media platforms in the world, and having a presence on Instagram is a great way to get your business noticed. Here are our three best tips for growing your following! Since its launch in October 2010 Instagram has grown from plucky start-up to a social media mainstay with 1 billion monthly users. Because of its popularity, Instagram has also become an important content marketing channel for businesses. Growing your follower count and getting noticed on Instagram is an incredibly powerful way to drive traffic to your business’ website and increase your revenue. It is anything but easy, though. There are millions of other accounts vying for your target market’s eyes at all times. Standing out is hard, so hopefully these three tips can help your business get noticed. With Instagram being a competitive space, it is very important to make posts “often”. Often is a relative term, of course. We understand better than anyone that it is hard to prioritise making Instagram posts over other work tasks for a small business, but making time for social media is key if you want your accounts to gain any sort of traction. Your followers’ feeds move quickly and if you only post once a week, they are likely to miss posts altogether. Make posts as often as you can, but don’t make 10 pointless posts per day. Your audience won’t want to be spammed. As with blog posts, you have to be consistent. If you can only find time to post three times per week, that is fine. You can compensate by publishing your pictures on the same days and the same time of day every week. You can use third-party apps to automate this process. As a side note, you have to be patient. Creating a social media following is not a sprint, it is a marathon. If you have a burst of inspiration but quit after three weeks, you won’t go anywhere. You will definitely see the fruits of your labour if you keep at it long term. Our quality assurance team hard at work. Above all else, you have to make sure your posts are of high quality. Today’s Instagram users won’t tolerate low quality or blurry images, lazy designs and poor grammar. Now, we’re not saying that you need to run out and spend thousands of dollars on an expensive camera. In fact, most phones these days are more than good enough. You just have to be mindful of the fact that your posts are a reflection of your company as a whole. Bad posts make your business look bad. If you don’t have the time or know-how, it may be a good idea to consult a digital marketing agency. You don’t even need a computer and photoshops to make great photos pop. There are a number of apps that can take your photos to the next level. Using hashtags is the best way for you to reach beyond your followers’ feeds and jump onto the screens of users who are interested in your industry or its products. Using misleading hashtags to lure people onto your page when they were searching for something else will only ensure you don’t gain any followers (or the wrong ones). Be mindful of the fact that there is a spectrum of specificity when it comes to hashtags. The more specific your hashtags are, the fewer people will see it, but the more likely your post is to reach a person who is interested in it. As an example, imagine that you are a company that sells makeup. The hashtag #makeup has nearly 200 million posts, but using a hashtag related to the specific product will likely result in the post being seen by users who are interested in making a purchase. #FentyFoundation only has 60,000 posts, a fraction of #makeup. But users visiting that hashtag might be in the in the “consideration” stage of the buyer’s journey, and would be more interested in your posts about the product. If you are only posting on the Instagram feed, you’re really only utilising half of Instagram’s potential. Instagram stories have 300 million daily users, and can be a great way for you to create additional content (and value) for your followers. Because Instagram Stories disappear after 24 hours, they can often be a bit more informal and off the cuff. They can be used to give your followers a look behind the curtain, and let them take a peek at the day-to-day goings on behind the scenes of your business. That said, they don’t have to be informal. They can be used to promote your latest Instagram post, new products you have in stock, sales events, and more. You can even use Instagram Stories for b2b lead generation! Once you reach 10,000 followers on Instagram, you can use the “swipe up” feature on your Stories that can take your followers to a web page of your choice. This feature is incredibly useful for linking web shops or new blog posts to your audience. You can use different apps to make your Stories beautiful and ensure that your Stories stand out from the crowd.